Leading up to the June 30 release of “The Legend of Tarzan,” Warner Bros. Pictures, Village Roadshow Pictures and the filmmakers and stars of the film are teaming up with international non-government organization (NGO) Stop Ivory to tackle one of our world’s greatest conservation challenges – the fight to protect Africa’s rare forest elephant and, by extension, save the world’s elephants from extinction. The sweeping African landscapes that feature prominently in the film were captured on location in the extraordinary country of Gabon, where English conservationist and documentary filmmaker Josh Ponte has spent the last 15 years working to preserve the country’s wildlife. Ponte, who served as the African technical advisor on the film, has focused his efforts on stopping the illegal killing of the rare forest elephants that call Gabon home. In the last 30 years, ivory poaching has reduced the global forest elephant population by two thirds – and half of those that are left live in the Gabonese forest. Without action, even these could be gone in a decade. 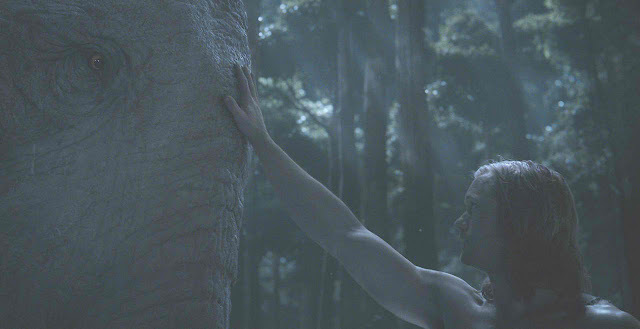 Now, the cast, filmmakers and Studios behind “The Legend of Tarzan” are joining forces with Stop Ivory in support of the Elephant Protection Initiative to help save this endangered animal. The partnership was forged in the spirit of creating entertaining, informative and meaningful ways to engage the global community of moviegoers to join the effort to end the poaching of Gabon’s surviving forest elephants while reinforcing the film’s central themes of humanity’s deep connections with wildlife and nature. The campaign began in earnest with a Public Service Announcement (PSA) for the Elephant Protection Initiative, featuring the film’s star Alexander Skarsgård and appearing on Regal Cinemas screens across the United States as part of their “Stars of Hope” program. More information is available atwww.regmovies.com. Skarsgård and Margot Robbie will also be featured in an international Stop Ivory PSA, which will be seen in theaters, as well as broadcast and a variety of digital and social platforms. On Twitter, Warner Bros. and Stop Ivory are participating in a “ReTweet for Good” campaign, with the studio making a donation to the organization for retweets of select Stop Ivory PSAs at designated times. Details will be available on Twitter and on the organization’s website. 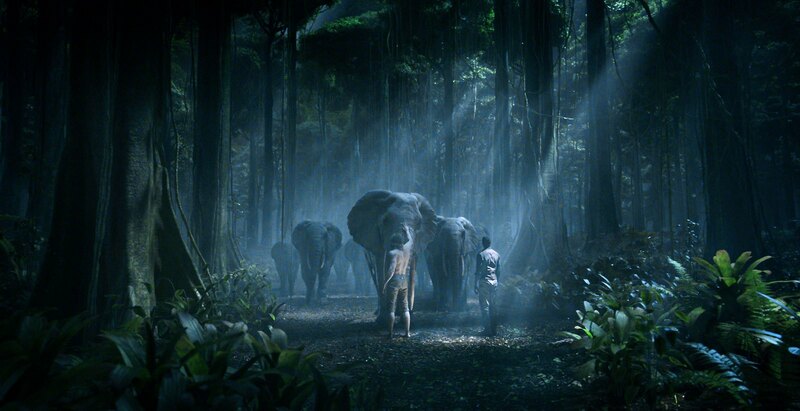 Additionally, the Studio has created a featurette, entitled “From Gabon to the Big Screen,” which chronicles director David Yates’ journey with Ponte to capture the landscapes of Gabon for the film. It will bring viewers face-to-face with the beautiful animals they’ve joined forces to save. This video piece will open up the lush rainforests of Gabon and highlight the integral role forest elephants play in the ecological backbone of the region. Finally, a limited number of movie-goers who see the film in international markets will receive a special plush elephant, signifying an additional donation has been made by Warner Bros. to the Stop Ivory campaign. Please visit www.stopivory.org for more information. The film also stars Oscar nominee Samuel L. Jackson (the “Captain America” films), Margot Robbie (“The Wolf of Wall Street,” upcoming “Suicide Squad”), Oscar nominee Djimon Hounsou (“Gladiator”), with Oscar winner Jim Broadbent (“Iris”), and two-time Oscar winner Christoph Waltz (“Django Unchained”). 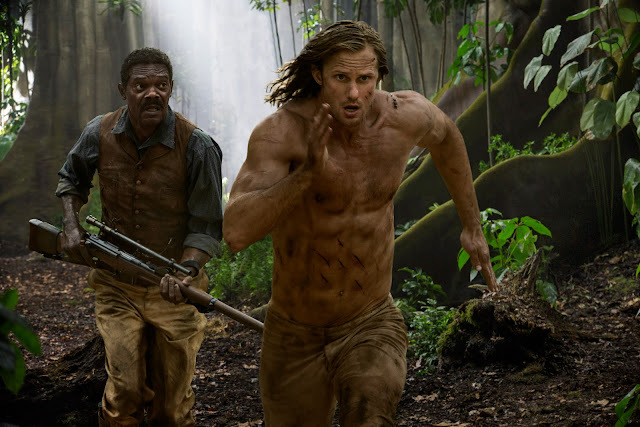 Slated for release across the Philippines on June 30, “The Legend of Tarzan” will be distributed in 2D, 3D and IMAX 3D by Warner Bros. Pictures, a Warner Bros. Entertainment Company.